Game companies come and go. A happy few get to be the leaders of the industry. Others at least survive the generation and try to rebuild. Still others fade away into the void. The void was the fate of Atari and their sixth console. Atari had been a Behemoth. 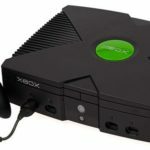 Yet the company which had started the video game business in earnest, were quickly finding themselves left out of the real console boom. Still, they had just enough pull and name recognition to try one last time. Unfortunately, the fruits of their labor effectively kicked them out of the console business for good. So come with me then, as we explore the death knell of Atari. The Jaguar. Rating: Not the worst thing ever. The 5th generation of consoles was kind of a mess. The PlayStation sold incredibly well, and the N64 did OK. After that it all kind of goes to hell. The Sega Saturn, the 3DO, the Jaguar, (not to mention the truly weird ones like the PC-FX, the Japan only follow up to the TurboGrafx 16) all tried to make a dent in the market and just utterly failed to do so. Atari had been a bit of a joke in the business for a while, but they weren’t stupid. They knew a large swell in video game interest was building so they decided to jump in. Unfortunately for them, they jumped in on the wrong generation for the hardware they had and got destroyed. Atari actually tried to release consoles for both the fourth and fifth generation, planning to release two systems in short order. The Panther, which would have competed towards the end of the SNES/Genesis era, and the Jaguar, which was meant to lead the way into the future. The industry was moving a bit faster than Atari had planned for, however, and Atari decided to scrap the Panther and push forward as fast as they could with the Jaguar. Unfortunately, to get a head start, they decided to use a multi-chip design for their CPU. This is a plan which seems ok on paper, but tends to fail in practice. The TurboGrafx 16 and the Saturn tried this same nonsense and it didn’t work out well for them either. Programming for multi chip architecture is difficult as hell and very few games could push the system to its limits. So COULD you get 64 bit graphics with the Jaguar? Sure. DID anyone? Not really. Multi Chip Architecture. Never the way to go. The system was released in 1993 to test markets, and finally saw a full release in 1994. There was a bit of interest in the new hardware, and they priced the unit to compete, however the library was pretty small and a number of games were just ports of PC titles. The controller was bulky and had a stupid amount of buttons on the front. The user could slide a little plastic card in front of the buttons to see what they all did, but most people found that weird and it was largely unnecessary because game developers didn’t utilize it too much. You sort of slide this over the number pad on the controller up there and woe unto those who lose the thing. You might not be able to find the Weapon Bay button! While the Jaguar was trying to get a foothold in the market, news of the PlayStation and the Saturn was beginning to circulate. Consumers decided to take a wait and see approach to consoles and the Jaguar was in that perfect sweet spot for failure. Once the Saturn and the PlayStation came out in 1995, the Jaguar was effectively dead in the water. There was an attempt to release a CD add on, but it didn’t really help as only a dozen games were released for it. In the end, Jaguar’s graphics simply didn’t look as good as its competitors and it didn’t have the games to compete. The future of video games is to just keep stacking new consoles onto the old consoles. It’s too bad. Ultimately, it was a nice piece of hardware. It was just released at the worst possible time. And although the library is small, there were some fun games. So without further adieu, I present to you the top ten games for the Atari Jaguar, as dictated by my video game algorithm. Released in the arcades in 1993, NBA Jam was, in my opinion, the first basketball game to really embrace the fact that they were a video game first and a basketball game second. To wit, the game was actually fun to play. The graphics were silly, fouls were allowed (and in fact encouraged), and players could jump like Mario and dunk the ball in a spectacular display. The game featured real NBA stars, a lot of very silly secret characters, and to top it all off, everything was executed very smoothly. Acclaim developed the console version of the game and while the Jaguar version wasn’t perfect, it was pretty great. Wait…2002? Wow. Ok. Protector was originally a game released for the Atari 2600, and was relatively early hit on the system. It was essentially a Defender clone, which saw the player fly around a large 2D stage trying to save people and blow up aliens. In 1999, a new Protector was released for the Jaguar which took the bulk of the gameplay elements from the original games and upgraded them for the new system. Songbird then kept developing and released the Special Edition in 2002. Although there weren’t a lot of Jaguar systems out there in 2002, everyone in the Jaguar community jumped on the game and it’s on a LOT of people’s top ten lists as a result. An early game in the 3D giant mech fighting genre, Iron Soldier 2 was the second of three games in the Iron Soldier series, and the first Jaguar CD game on our list. The polygon graphics look dated by today’s standards, but it was a revolution at the time. You pilot a giant robot and take out enemy robots or simply blow up an enemy base or city in order to find more powerful weapons. Modification and customization of your mech was key and you could add rocket launchers, guns, shields, and melee weapons. The game also made fantastic use of the Jaguar controller and pushed the system about as hard as it could be pushed. A great but odd little game from Team17 is Worms! Described as a 2D artillery tactical game, Team17 spared no expense and ported the game to literally every system that would have them. You play as a worm on a little stage, and throw bombs and other explosives at up to three rival players until one worm remains standing. Sequels and updates have been released on every system imaginable, and the simple gameplay elements have remained the same throughout. It’s cartoony, weirdly violent, and very fun. It’s hard to go wrong with a solid 2D platform game, and Ubisoft did not go wrong with this. The first game in a LONG running series which has continued in one form or another to this day, was Rayman. Released across multiple platforms of the 5th generation, the game follows the titular character as he tries to save the world from Mr. Dark. Ubisoft opted to go with making the prettiest 2D game they could as opposed to a more clunky 3D game and it paid off in spades. Side by side comparisons of graphics really showed off that the Jaguar was, in some ways, just as capable as its contemporaries. A top down shoot em up, this was the first game released in the Raiden series. Originally an arcade game, it was ported to Jaguar very early. Storywise, a group of deranged aliens has invaded Earth and taken over. A desperate group of humans develops a new weapon system called the Raiden, which you must pilot around, destroying alien ships and hopefully save the human race. It’s standard Shmup fare, with a long level, filled with enemies and powerups, capped with a boss fight. Standard, sure, but still a great game for fans of the genre. DOOOOOM! Yes, the O.G. space marine started his career in the PC game, which was such a mind bending hit that not only did it start a long franchise, but it was ported everywhere possible. The Jaguar version was slated to be the first port of the game on consoles, and may well have given the system a huge boost in sales, however, delays in production meant that the Sega 32X version hit the market earlier, and a big opportunity was missed. Graphic violence and satanic imagery helped propel the game to heights unseen in the FPS market, and the Jaguar version was a marvelous port. As I said earlier, while there were some good games for the Jaguar CD add-on, they were mostly ports of PC games like Myst and arcade games like Dragon Age or Primal Rage. All of which are more fondly remembered on other systems and were a bit outdated when released on the Jaguar. However, for the Jaguar aficionado, no game collection is complete without this CD game. Battlemorph is a 3D free directional space shooter and a sequel to the original Jaguar pack-in game, Cybermorph. Battlemorph really enhanced the graphics and level designs, and as the game was on CD, the music and sound were also vastly improved. This was the best selling game for the system, (admittedly that’s a low bar.) as well as being the pack-in game in Japan. Though it was titled Aliens vs. Predator, it could have also been titled Aliens vs. Predator vs. Marines, as the game allowed you to pick between any of the three races. While the levels you navigated through featured the usual FPS graphics available for the day, each of the three races had very different play styles and missions. Jaguar was really hoping that this game would be their killer app. The vastly different playstyles effectively meant that you had three pretty great FPS games in one. However delays in release hurt sales of both the game and the Jaguar itself, and ultimately the graphics looked a bit old compared to similar PC games. That said it was a lot of fun. A sequel to the 1981 arcade game was this gorgeous and trippy effort. The original Tempest had a vector display which allowed for much sharper graphics than what was available in arcades at the time. This, the sequel, came out a mere 23 years later. Both the original Tempest and Tempest 2000 were literally rail shooters, as you would move your ship over various segments of a rail, or “web” and fire down onto the incoming enemy ships. The soundtrack was filled with high energy techno tracks, it was the second best selling game on the system, behind AvP, and EGM called it the best Jaguar game of 1994. The small but super vocal Jaguar community agrees with that assessment and it was a LOT of people’s top choice for the number one slot. The graphics still look good to this day and it really did the original Tempest proud. So that’s the Jaguar! Upset that your favorite Jaguar game didn’t make the cut? Explain why in the comments or hit me up @whentheicebreak on Twitter. Until then, have fun and remember. The world outside is full of bright sunshine and fresh air. Avoid it, stay inside, and play some classic games!